The entire palette of diamond recovery, with effective sorting technology. Recover even the purest diamonds from a size of 3 mm with x-ray transmission: our NIR technology can analyse the complete material stream and reliably separates kimberlite from waste rock. X-ray sorting systems can screen out diamonds accurately and with high throughput rates at an early stage in the process. In contrast to conventional x-ray luminance processes, STEINERT diamond sorting machines use high-resolution x-ray transmission sensors that screen the rock throughout. Detection takes place at the atomic level, and surface impurities do not affect the detection. 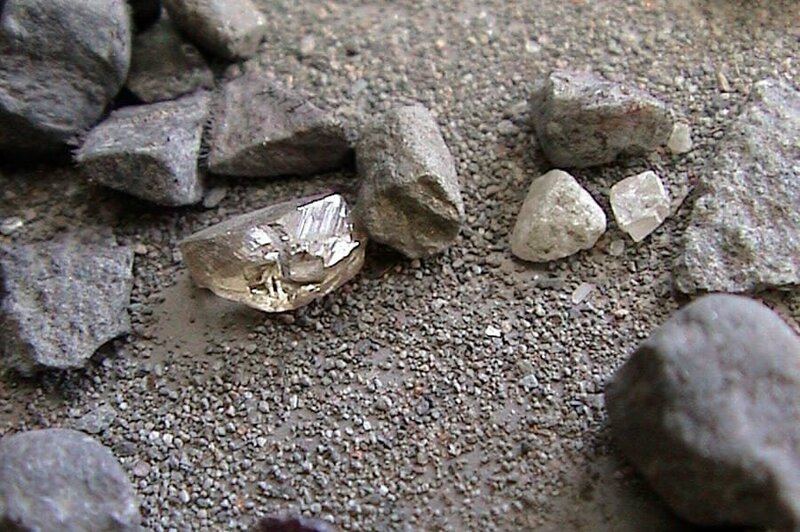 This solution can also be used early in the process, for example in order to remove large diamonds before they are damaged or indeed broken up in the subsequent crusher stages. Sorting may take place with dry, unwashed or damp material. A STEINERT sorting machine specially developed for this purpose takes care of the final product with perfect diamond detection and high throughputs. This solution also offers the highest level of safety that is required for this field of processing. For diamond processing, the notion of 'concentration' has long been an irrelevance. Nevertheless, more and more mine operators are realising that efficient pre-concentration leads to reduced processing costs and can thus substantially increase productivity. Rather than using the sink/float process, they see the advantage of the more efficient and cost-effective variant using sorting technology. STEINERT has the perfect solution for efficiently separating kimberlite from waste rock. Using near-infrared (NIR) technology based on hyperspectral imaging (HSI), production can be increased and energy and wear costs reduced. And with the particularly high-resolution NIR spectra, waste rock can be efficiently separated from kimberlite. The entire process can also be monitored using our UniSort analyser, which thus warns at an early stage of increased proportions of waste rock. The solution consists of a bridge and NIR scanner that monitors the conveyor belt passing beneath and generates statistics in real time. STEINERT sorting technology lets you recover large diamonds from 4 mm, reliably and precisely. 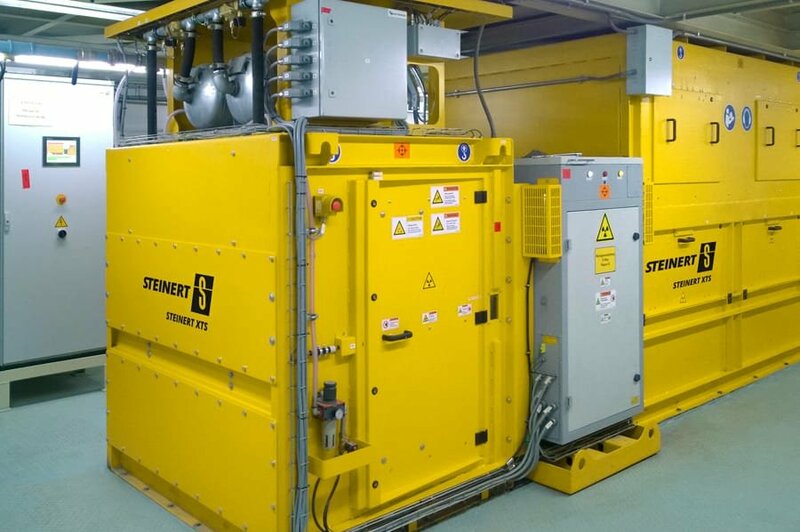 Both our STEINERT XTS x-ray transmission sorting units create the diamond concentrate with a throughput of up to 6 t/h with a detection rate of up to 99.9%. 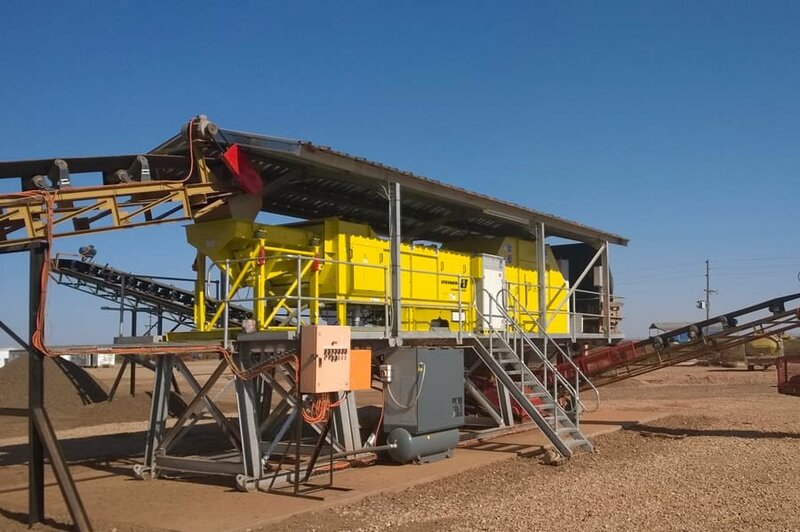 At a relatively small private mine in South Africa, a STEINERT XSS T has replaced almost the entire diamond processing plant. Modern x-ray sorting took the place of conventional density separation. The customer can thus save enormous operating costs and achieve greater efficiency. Here a STEINERT XSS T machine sorts diamonds from 10 to 30 mm with a throughput of up to 60 t/h.